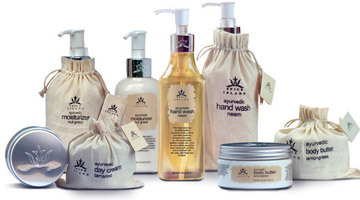 Spice Island product range which is aggressively marketed in USA is looking for opportunities in Europe. Spice Island has a loyal following in the US and is currently carried through the most prestige retailers in the US such as the iconic Fred Segal New Beauty, Beauty Collections, Ritz Carlton, Clyde’s, Omorphia, and Thompson's, and leading online retailers such as Dermstore.com, madkat.com, iherb.com. “Since our main focus remains the highly lucrative US market, Spice Island has all the FDA approvals which is very critical level of product testing and manufacturing through Nature's Beauty Creations gives us the most accepted International manufacturing Certifications such as GMP and ISO as well, said Ashan Malalasekera, CEO of Spice Island. “Spice Island is primarily an export brand that caters to our customers in North America; we do have a very small presence locally through few exclusive retailers that carry our brand. Marketing the brand to an enormous market like the US requires significant marketing, promotions and PR campaigns.” Also, it requires being up-to-date with the latest product trends and ingredients. Almost 90 percent of new brands fail when they come to the US market due high investment costs, product testing demands and costly promotions to build up brand recognition. Q. What makes the Spice Island product range unique? A. Spice Island is a high-end, premium herbal and Ayurveda inspired personal care brand that uses active base ingredients that are endemic or well-known in Sri Lanka to create a brand offering that brings a unique blend of exotic active ingredients to our customers around the world. for an up market quality designer branded products emerge? A. Actually Spice Island has a unique and wonderful relationship with Nature's Secret. While not being owned by Nature's Secret and Nature's Secret is the exclusive manufacturer of Spice Island in Sri Lanka, and is a critical partner in our brand's success. As Spice Island is a premium brand that retails mainly in North American markets, it was accepted that the brand would need to be manufactured as what can be described as the best, state-of-the-art manufacturing plant for cosmetics in South Asia - Nature's Beauty Creations. Q. What are your goals of market share and future aspirations pertaining to Spice Island? A. obviously we will continue to focus on our key market strategy and drive revenue growth through those channels. We aim to have our online store up and running this year too. We already have a Marketing office in Las Vegas and Centralized product warehousing, pick and pack and delivery through our partners in Texas. The US personal care business is a USD 10 billion and industry, so if you can survive and build a loyal base of customers, then your market share translates into significant amount of revenue.